Our range of products include spring strips. We supply a high quality range of these Spring Strips which are available in different dimensions, thickness, grades and hardness. They are highly corrosion resistance and require low maintenance. Our ranges of these are used in various industrial applications. 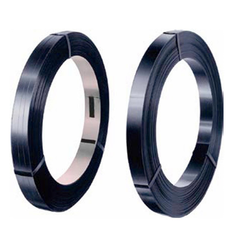 These are well known for their dimensional accuracy, corrosion resistance and high tensile strength. They are thoroughly checked at every stage of production to Esure the quality with international standards. Looking for Spring Strips ?